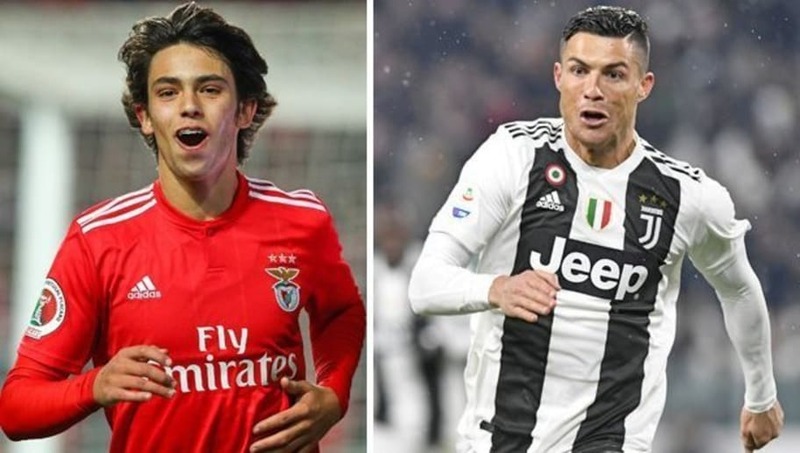 ​Benfica forward Joao Felix has hailed Cristiano Ronaldo as his idol and intends to follow the legend's path on the way to achieve greatness in his footballing career. The 19-year-old has risen to prominence for Benfica this season and has netted 12 goals for the club, who now lead the Portuguese top flight. His goals in derbies against Sporting Lisbon has led to the attack-minded midfielder being labelled as ‘the next Cristiano Ronaldo’ while Atletico Madrid, ​Real Madrid, Borussia Dortmund and ​Manchester United are reported to have scouted the player. Obviously, the youngster has looked up to Ronaldo all his life and in a recent interview, discussed about the possibility of playing with him in the Portuguese national team. In his interview with ​Marca, Felix said, "Ronaldo has a phenomenal work rate, he is exemplary for everyone here. I am not close to him on a personal level but I am very excited about the potential of playing with him (for the Portuguese national team) and everyone knows his story, how he has had to battle all the way." Felix currently has a €120m release clause on a deal through to 2023, ​which Benfica are keen to increase before top clubs pounce at the opportunity to sign him.